I am a very creative person, who is an Army Wife! We are located in Clarksville, TN. My husband is stationed at Fort Campbell, KY. 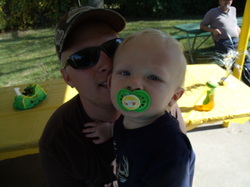 I have a one year old little by who is my world! I am currently studying for Bachelors in Science in Psychology. While doing so I would like to provide you with creating and preserving your memories for you! !